· Who has the ABLCS edge? 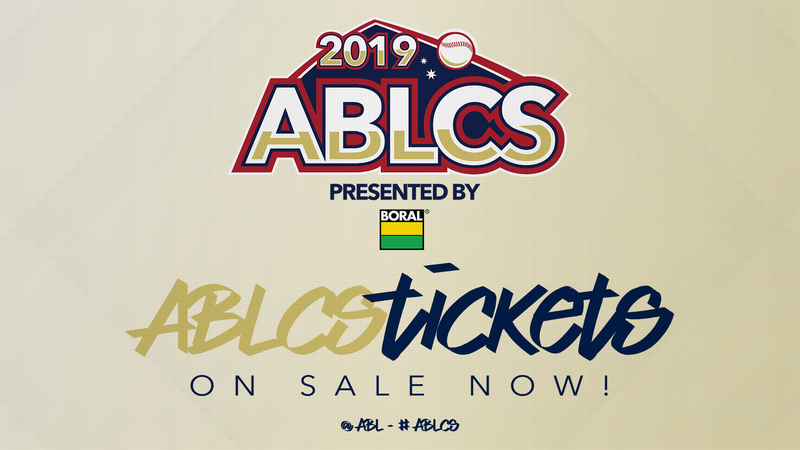 Australian baseball's modern-day dynasties Brisbane and Perth will go head-to-head in the 2019 ABL Championship Series presented by Boral starting tonight. The Bandits are after an unprecedented fourth Claxton Shield in as many years and the Heat a fifth title in the Brut Australian Baseball League's nine-year history. Brisbane and Perth's run to the ABLCS was not without obstacles, despite both topping their divisions by the end of the season. This weekend's best-of-three series puts the ABL's two best offences against each other. The Bandits will send left-hander Ryan Bollinger to the mound in game one in a bid to stop Perth's offence. Perth took three of four games when the teams met in Brisbane during December. The Heat outscored the Bandits 42-27, including 26-12 in a sweep of their Saturday doubleheader. Perth homered 10 times to eight and finished with 56 hits to 35. Now departed catcher Chris Betts drove in seven runs for the Heat, with Tristan Gray, Robbie Glendinning and Tim Kennelly each recording five RBI. Brisbane utility TJ Bennett was 6-for-14 with two homers and six RBI. Despite being the dominant teams in the relaunched ABL, Brisbane and Perth have never met in the postseason. The Heat are into their sixth Championship Series in the ABL's nine-year history while the Bandits are into their fourth-straight decider. Perth claimed four of the first five titles, twice going back-to-back, and Brisbane is chasing a historic four-peat. The Heat are 8-5 in ABLCS games and the Bandits 6-1. Brisbane 2-0. The Bandits have been here before and enter this year's series with more experience than Perth. They've also hit stride at the right time of the season. Ryan Bollinger produced his best start of the season in the Bandits' ABLSF opener and will provide a platform for another Claxton Shield.